GEOSET » Programming the social computer. View Programming the social computer. 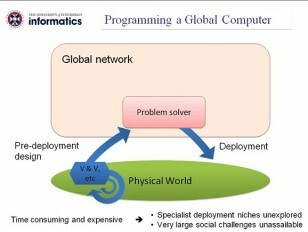 The aim of programming the global computer was identified by Robin Milner and others as one of the grand challenges of computing research. The Internet, however, has brought with it a different style of computation that operates in a style different to those with which we are familiar.